Gina Sharpe was born in Jamaica and immigrated to New York at the age of 11. She has an A.B. in Philosophy from Barnard College and a J.D. from New York University School of Law. Before practicing law, she worked for the New York City government (the Lindsay Administration), in the motion picture industry (as Assistant to the Producer of feature length films Little Big Man, Paper Lion and Alice’s Restaurant), as well as conducting research in public not-for-profits. As a lawyer, she practiced as a corporate litigator and then as a corporate lawyer. She also served as an executive in the fields of venture capital and mergers and acquisitions. 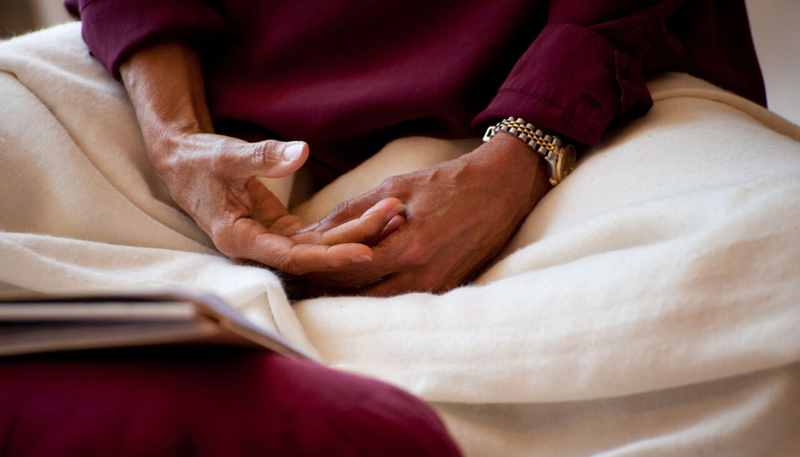 After retiring from the practice of law, she co-founded New York Insight Meditation Center. She currently serves as the Guiding Teacher. Trained as a retreat teacher in a joint Teacher Training Program of Spirit Rock Meditation Center and Insight Meditation Society, she teaches at various venues around the United States including Spirit Rock, Insight Meditation Society, Vallecitos Mountain Refuge, Mid America Dharma, Garrison Institute, Asia Society, Tibet House, the New York Open Center, the Katonah Yoga Center and a maximum security prison for women. She has been teaching the Dharma since 1995. She has served on the boards of directors of several not-for-profit and for-profit organizations.